If you’ve been following my blog you’ll know that BooBear, my oldest, is a piano performance major in college. Piano Lessons have been an important part of our life for many years. The cost of private lessons can be prohibitive. With HomeSchoolPiano it’s like having a private tutor come into your home. As a member of the Schoolhouse Review Crew we received a Lifetime Subscription for up to five students to the HomeSchoolPiano - Complete Set of Books. What does that mean? Lifetime Subscription to Complete Set of Books? Well, if you’re a reader like me it doesn’t mean a book club. Instead, in context it means “level.” Each “book” contains six units and each unit contains six lessons. Some units have a bonus level. There are videos for each and every lesson. Each “book” also has a pdf file with pages that correspond to the different lessons. As stated above each unit has six lessons with some units containing a bonus lesson. These lessons follow a carefully crafted 6 step cycle. Each lesson corresponds to one of the six steps. They all follow the same order. This method lays a foundation so that all students can master the piano and achieve success faster. Reading Music ~ This is an essential skill for musicians and is foundational to being able to learn songs and compose music. Some people can play by ear but that has its limits. HomeSchoolPiano lays a great foundation for sight reading. Song ~ These are not just exercises but are songs that apply what you are learning. There is one per unit. Improvisation ~ This is my weak area and this is what drew me to the program and is the reason I expressed high interest in reviewing this product. The ability to improvise allows you to explore your own creativity and create your own music. Tailorbear, Turtlegirl, and Boobear have all had years of piano instruction. BooBear is a piano performance major at a local university. Even though they have all had lessons, they did not all progress at the same rate. BooBear played around with the program and watched a few ear training lessons but, understandably so, is beyond what Willie offers with HomeSchoolPiano. Tailorbear loves to just sit and and “make up” music. We both thought it would be best if she worked her way through the ear training and improvisation sections of each unit in book one and then work through more of the program at book two. Book two is below her level but is providing a great review and getting her back into the piano after not having private lessons for two years. Turtlegirl really struggled with piano lessons. She loves music but not the piano so much. She did not make as much progress as her sisters and wanted to give up on lessons. HomeSchoolPiano has changed all that. She is excited about learning how to improvise and compose her own music. She started by reviewing material in the CorePiano section and then moved into book 1. Some of it is easy and some of it is not. She says she did not encounter too many difficulties in unit one but as she progresses through unit two she is expecting things to get harder. I like his style of teaching. He really encourages you not to give up and says 'You CAN do this! You've made a lot of progress just getting this far!'. He is always upbeat and confident. And he places confidence in the skills of the student, which I think is really important. It is important to build up the student's confidence, and he does just that with his style of teaching. I am looking forward to continuing with this program. I highly recommend this program for anyone, child or adult. LIFEtime subscription~ Just a few months ago they offered subscription based services but I think the longest was for one year. I love that we have access forever. Access to the complete program ~ I signed up for the free “starter” lesson and with the Lifetime Subscription to HomeSchoolPiano – Complete Set of Books, I also get access to CorePiano in addition to access to all the videos and PDF files for Books 1, 2 and 3. Learn Piano Online for Beginners has even more details. Each student has their own username and password ~ This means that each student can log in and have the program track their progress and record their quiz grades. You can have 5 students plus the parent account and the parent? Yup the parent can use the program as well and have it track her progress or um lack thereof. Record Keeping ~ I have a hard enough time tracking what the girls need to do and when to do it and where they left off, and with HomeSchoolPiano, they track progress including recording quiz scores. We can use the computer or the Kindle for watching lessons ~ I love that the girls can use the Kindle or a laptop for watching the lessons. With the download feature, we can download a lesson and then upload it to the Kindle to watch on the go without needing a wi-fi connection! Format: Digital ~ Video Lessons can be viewed through streaming or can be downloaded. Also includes downloadable PDFs for each unit which include sheet music for reading instruction and sheet music for each unit’s song. NOTE: Articles to check out: What Kind of Equipment Do I Need? and Already Taken Piano Lessons? 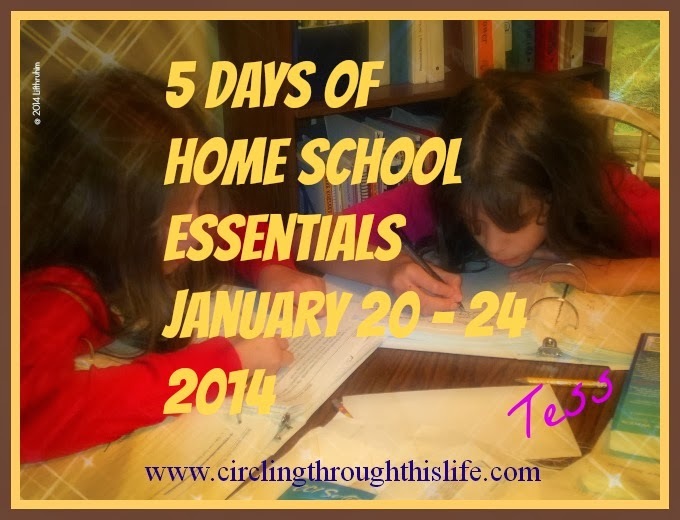 Visit the Schoolhouse Review Crew blog to read what others have to say about HomeSchoolPiano. We really enjoyed this too, but you know what? I barely used the record-keeping aspect of it! LOL I guess if I had more than one student using it, I would have. :-) By the way, great job on the title graphic for this review - it definitely caught my eye! I don't think my review truly does justice to how well the instruction is laid out. I really like how Willie presents the material and encourages students as well as giving them tools for creativity. Thank you Jazzedge for giving us the opportunity to use your product and yes we are enjoying the lessons!